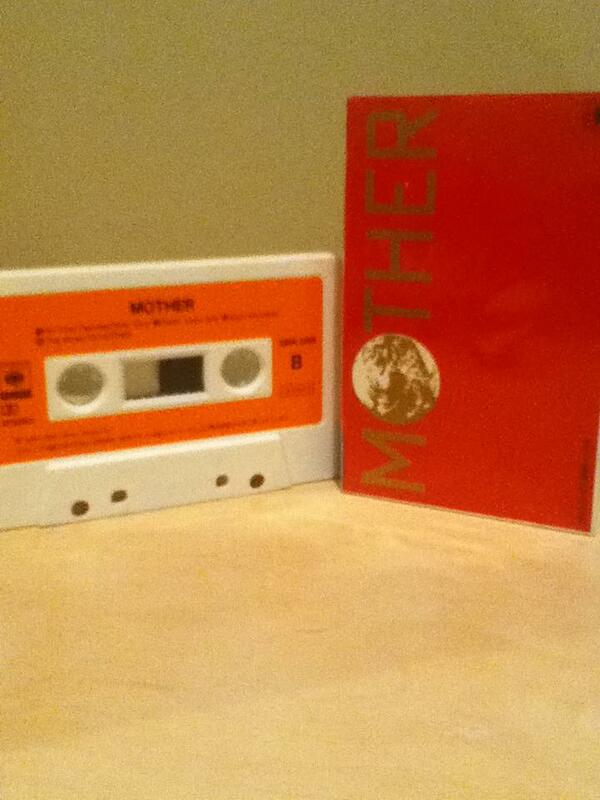 A long time back, the original MOTHER game had an official soundtrack released. Except it wasn’t music from the game – it was mostly actual studio music full of vocals and such. Most people know that this was released on a CD, but it was also released on cassette tapes! 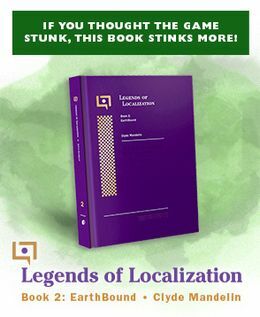 It’s actually really hard to find the cassette versions though, so they’re one of those rare relics that serious collectors are always on the hunt for. Luckily, Travis messaged me on Facebook the other day with some pictures of a copy he found! At first I was confused because the first pic looked so much like the MOTHER Famicom box! In all my years running EarthBound sites I haven’t seen many of these tapes for sale, so it’s really cool to finally get some pics! Despite being super-cheesy, I have a fondness for this soundtrack. If you’ve never heard it before, give it a listen on YouTube or wherever else sometime! That’s super awesome. Hope it doesn’t get tangled. I got this cd a few weeks ago actually! My love for it is beyond words. 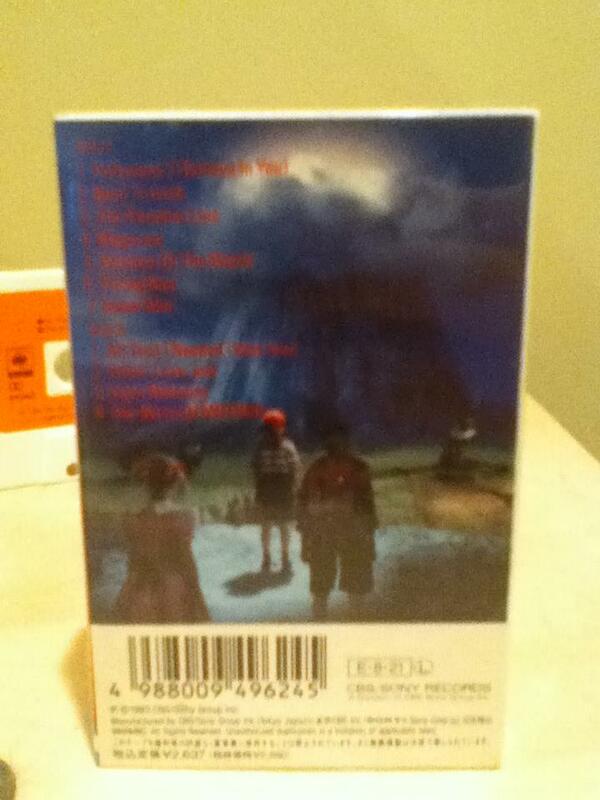 I’ve seen a photo of the cassette version once, but I didn’t know anything else about it until now! Sounds really good! Reminds of the “Saturn go Home” arrange CD with some of the more psychedelic tracks. were you half asleep when writing this? I love this soundtrack album. The version of it that I had difficulty finding was the original CD release. 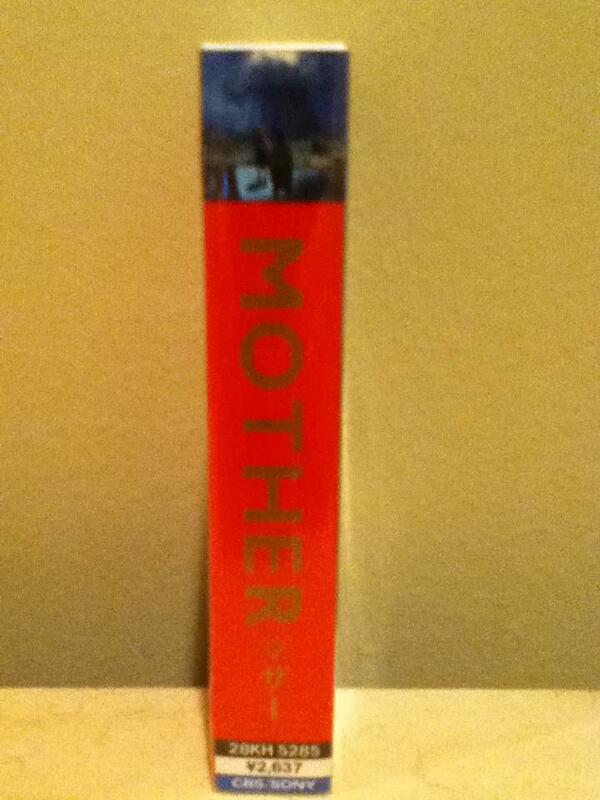 The reissue included a different version of “The World of Mother” and it took me years to find a copy of the original. But it is always nice to see more/better ones! The Paradise Line (track 3) is one of my favorite rock songs. lol there are so many things incorrect with what you said..
3. what is the context for what you were stating, anyway? He linked a 50-minute YouTube video; how is anyone supposed to know what you’re talking about? Correction: Islam is NOT as widely practiced as Christianity. But as it stands, Buddhism (and definitely Shinto) are miles away from being most practiced. As you’ll also find explained in that same article, Shinto is very common in a civic sense even though it has relatively few religious practitioners (kind of like how most people in America celebrate Christmas, though many do so in a non-religious way). Y’all are getting a little bit off topic here, don’t ya think? I’m curious as to where this guy got the cassette from. There hasn’t been one on Yahoo Japan or anything. I wonder if he got it from Japan. Hey thanks for posting the pictures I sent in. I didn’t see the post till today but I’m glad I did though 🙂 and to answer anyone’s questions I had bought this of Yahoo Japan mid last year but there were problems with the shipping so it didn’t arrive till early in January of this year. And I haven’t been able to test it if it works yet. I can’t seem to find my cassette player. Adding to my previous comment. The amount I paid on the item itself was about less than 10 us dollars. I don’t think the seller knew he had something rare he/she was selling. It seems to be in very good condition with some minor dirt which I will clean off. 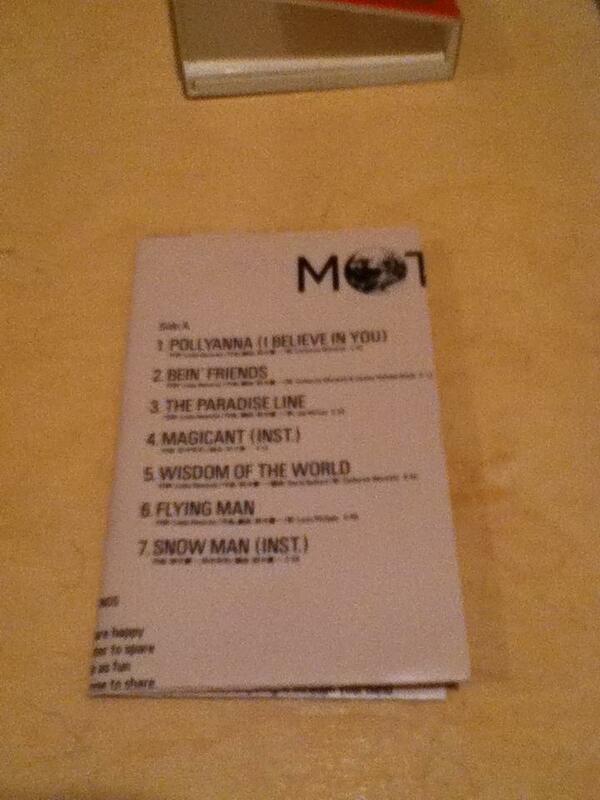 The song/lyric list in the front of the case hasn’t been folded open so that is cool. Really cool to see one of these. Lucky guy, this Travis. I’d love to get a hold of one of these cassettes! His looks to be in really good condition too. I especially enjoy the Flying Man theme song. When I heard the chorus “How precious life can be when you give your heart” I was really surprised because that same section of that song is used in the earthbound game over (“head handed to you”) screen. Same melody! 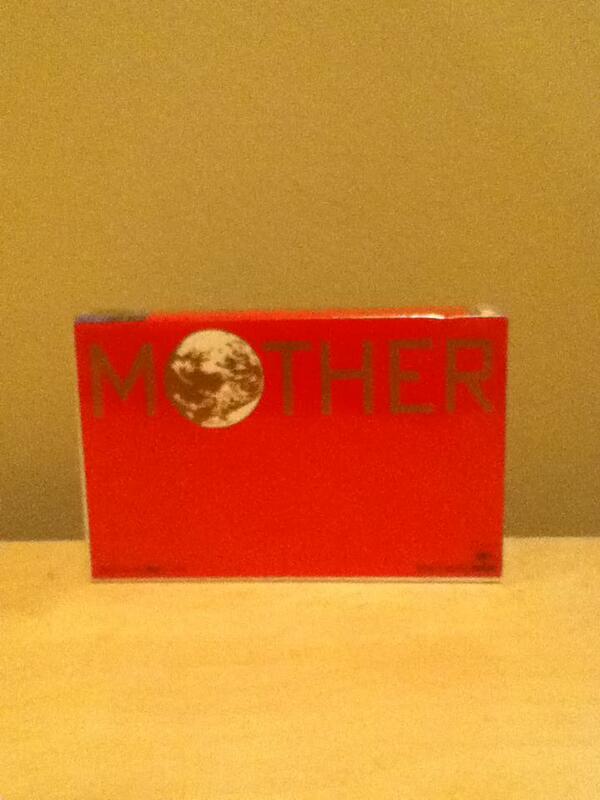 So super fans of Mother who heard the soundtrack would have recognized that album-only melody when Mother 2 was first released. Clearly, M2/EB was a labor of love! What about a vinyl release, though? That would be approximately the best thing. All of the Mother Albums. Orange are Doujin, the Light Blue are the commercial releases.